Did you know that your body replaces your skin cells every 24 days? That’s like having a brand new face every month. And right now is your chance to put your best face forward. If you’re looking for a real change this year, one that’s going to make you look and feel your best, consider trying hemp seed oil for your skin. 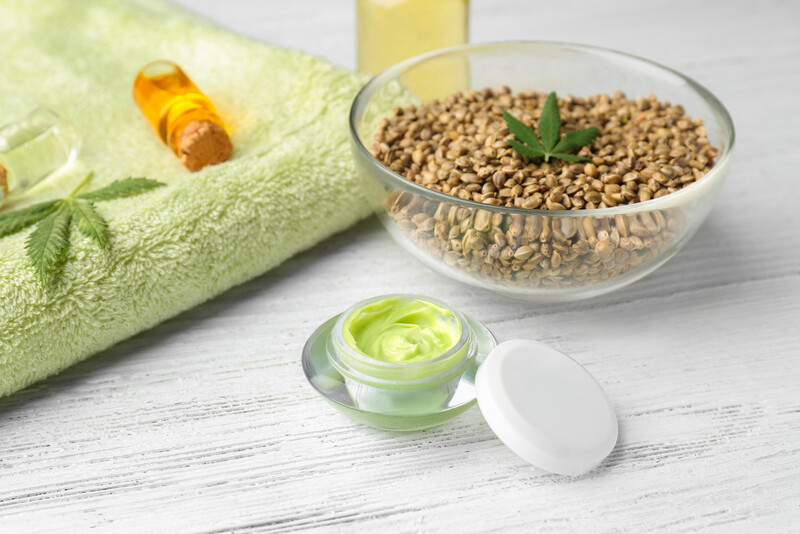 The benefits of hemp seed oil for skin range from daily moisturization to the healing powers of Vitamins A and E. You can fight off wrinkles, sun damage, scar tissue, and dry skin all at once. When you use hemp seed oil on your face and body every day, you’re giving yourself one of the strongest natural defense systems on the planet. Hemp seed oil is extracted from the hemp seed and the hemp seed only. CBD oil, on the other hand, contains more properties of the hemp plant. That’s not a bad thing, but only using the seed enriches our hemp seed oil with more skin-nourishing qualities, like more amino and omega fatty acids. And that means great news for you and your skin. The benefits of hemp seed oil go well beyond what it can just do for your face. It’s safe to use on your entire body, so be generous. As an all-over moisturizer, hemp seed oil benefits all skin types. It plumps tired skin, balances oily skin, and can heal even the driest skin with its deep moisturizing properties. Even sensitive skin can use hemp seed oil to moisturize without worrying about clogged pores or greasy residue. The secret to hemp seed oil and its deep moisturization are the Omega-3 and Omega-6 fatty acids. Omega-3 is great for heart health, which is why the doctor is always recommending fish oil. But it also does amazing things for your skin. And when you use hemp seed oil, your skin is getting the one-two punch of both these fatty acids working together to bring the natural beauty and shine back to your skin. How Does Hemp Seed Oil Heal Skin? One of the Omega-6 fatty acids found in hemp is the gamma-linolenic acid or GLA for short. GLA is a powerful anti-inflammatory that reduces redness while encouraging new skin cells to grow. It’s essential for healthier, younger-looking skin, but it’s also what makes hemp seed oil the perfect supplement for people with psoriasis and other uncomfortable skin conditions. The vitamin A in hemp seed oil also contributes to its natural ability to heal your skin. Vitamin A encourages new skin growth by stimulating the fibroblasts in your body. Fibroblast are the cells deep in your skin that are responsible for developing and growing new tissues. It’s the secret behind your skin’s natural way of healing itself. Try using a hemp moisturizer once a day to empower your skin and kick-start this new cell growth. You’ll start to notice visibly firmer and healthier skin that looks as good as it feels. Along with Vitamin A, Vitamin E is a natural antioxidant. It gives hemp seed oil its power to both heal and protect your skin. Vitamin E is well-known for reducing the appearance of scars, but it also protects your skin against UV damage from the sun. UV light is the top cause of skin cancer and premature aging, and you can protect yourself against all of it with a little hemp seed oil. As an antioxidant, Vitamin E will also protect your skin against free radicals. Free radicals are the things that live in fast food and car exhaust that make skin look and feel greasy and gross. By using hemp seed oil for your skin every day, you can protect it against the free radicals that are attacking it every day. What’s more, hemp seed oil will actually encourage your body to produce more of its own Vitamin E. As you age, your body produces less and less of the vitamins and minerals it needs on its own. Making hemp seed oil part of your daily skincare routine can encourage your body to ramp up and maintain its own healthy levels of Vitamin E production. The essential amino acids are called such because your body needs them to build everything, from your heart to your eyes, and especially your skin. But your body can’t produce all of these amino acids on its own. And because your skin is made up of proteins, it needs these amino acids to rebuild and rejuvenate old cells. Using hemp seed oil will put these amino acids back into your skin. Hemp seeds are known as a complete source of protein because they naturally provide the body with the nine essential amino acids. But rather than just eat hemp seeds, you can reap all of these benefits by using hemp seed oil on your skin. Body creams with hemp seed oil are a perfect combination because they moisturize while putting these amino acids to work. Try massaging a hemp body cream into your skin, especially into elbows and hands where the hemp seed oil can get to work rebuilding damaged cells and improve the texture and overall appearance of your skin. Sugar scrubs are a great way to remove dead skin cells and stimulate new growth. Using hemp seed oil will expand on these benefits and really protect the new skin revealed after a scrub. That’s because sugar and hemp both work together to moisturize skin in a very unique way. First, sugar is a humectant which attracts moisture from its surrounding environment. When hemp seed oil happens to be a part of that environment, the sugar seals it to the skin, locking in the moisture for a longer, more lasting effect. Your skin will come out softer and looking healthier right after the first use. Your skin needs daily protection, not just during a sugar scrub or a spa treatment. Hemp seed oil provides that level of protection by creating a moisturizing barrier between your skin and the rest of the world. The benefits of hemp seed oil come from its ability to improve and protect your skin from the inside out, giving your face its best line of defense against anything this new year happens to throw at you. But you don’t need to wait for your weekly sugar scrub to use hemp seed oil. Try adding it to your daily routine and see for yourself how your skin will thank you. Free radicals and UV light don’t stand a chance, and your skin cells will have the opportunity to glow and shine all year long. There are many different ways to use hemp seed oil, too. No matter your routine, incorporating hemp seed oil is easy. Whether you prefer using facial masks, body creams, or blue-green algae body scrubs, the variety of hemp body care products at Diamond Hemp are designed with your routine in mind.